Paper and Board. 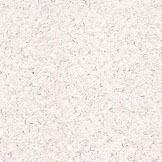 Clay Coated Kraft Back, LWC, SC-all grades, Recycled coated, Recycled uncoated offset, SBS rolls, White top linerboard - coated and uncoated. Poly 2S 21-23 pt. - very nice and full trucks monthly. For 2014SBS- solid bleached sulfate board. Virgin fiber and the board is one piece and white in the middle. Mostly higher calipers. USA origin. We are shipping this material constantly throughout the year. Photo: LWC rolls. Typical clean job lots. These rolls are standard widths, high end printer s excess rolls. For printers and converters needing discounted stocklot paper for high quality print jobs. 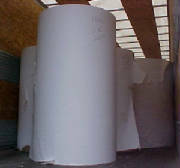 Commercial Printers, Converters: We sell coated rolls which can be sheeted or used for heatset web offset printing. Paper is excess material. Rolls are checked, cores are good, and the paper is a good buy. Outstanding pricing. Basically the clients which take advantage of these lots have in-house printing and sheeting. It is also great for converters with satellite merchant distribution channels. Ask for the matte and gloss coated rolls. Product has been sold from South America to Europe - we have sold these rolls for the past three years, new business and repeat orders. Often in original mill wrap, or heavy duty poly wrapped. Our paper and board is stored in clean areas. Rolls are sent cleanly and securely. All material goes insured. We sell mostly uniform widths, and roll sizes. Often the rolls are as new. Even the mixed lots we sell are often fully wrapped, or shrinkwrapped with heavy duty export clear poly plastic. Recycled but very strong makes this excellent for a variety of end uses. From a major US mill, we handle the sidetrims and job lots. 14 pt 308 gsm. Prime material 22" rolls. Very high brightness-in the "80's"Specifically for food packaging frozen food, displays and numerous end uses. Clay coated and perfect for 4 color printing and varnish. Really nice. The printed result- 4 color, varnish etc are incredible, and the board is FDA certified. We are confident about this one- it s an outstanding product. If you work in food packaging and understand the product, you ll be pleased with the result. Limited amounts available. Coated 2 side paper for color books, direct mail etc. About 2 truckloads of very high quality coated groundwood and near woodfree 2 side coated paper rolls. 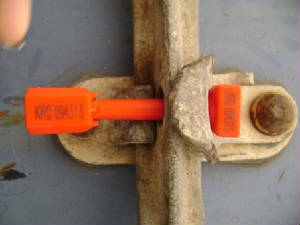 Manufactured for color printing on HSWO heat set web offset. All rolls are over 45cms(`17"), Excess printer inventory. Recent and ready for either export or domestic use. For domestic printers and merchants, we will sell 6-8 rolls. For export, 20 ft container minimum. Mostly full rolls, wrapped and capped with mill labels.Available now in 2018-will ship partial loads East Coast/Gulf Coast Area. SBS: If you are a converter/printer, let s talk. Coated woodfree and uncoated woodfree paper rolls.